that koolsoly looks great, especially for that price. Give it a review! I have something like this from Cabelas if I remember to bring it! 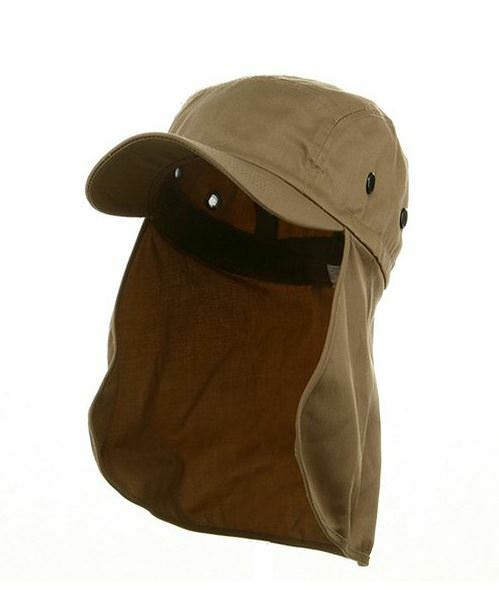 It even has a clip in the back you clip to your shirt to prevent you from losing it in a stiff breeze. So after a couple failed attempts at having one of the Simms hats shipped, I stopped into the Trident fly fishing shop in Windham and they had one left. I wore it today and was quite happy with it, it is very light and comfortable, I think it is just what I was looking for. I looked at the Tilly's at Hamilton marine and the are also very nice but a bit heavier than the Simms, actually heavier than the one I have from cabellas. I'm sure it would outlast the Simms, and I would look much better in it but it's all about function. Thanks everyone for the replies!! X2 Love that hat. Ears burn with caps and the cap with the neck flap was useless as that flap thing just blew around and looked ridiculous on me.